The Nathan LightBender Mini RX is a convenient way to improve your visibility on your runs. Strap it around your ankle or your arm, and you’ll have 2 LEDs with a 6-lumen output with red, blue, and green options to keep you visible even at night. 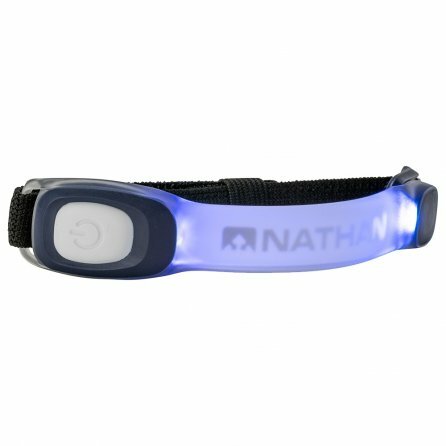 The Nathan LightBender Mini RX also features multiple settings for blinking or steady lights depending on the conditions. With an IPX4 weather-resistant build, you also won’t have to worry about damage in light rain.